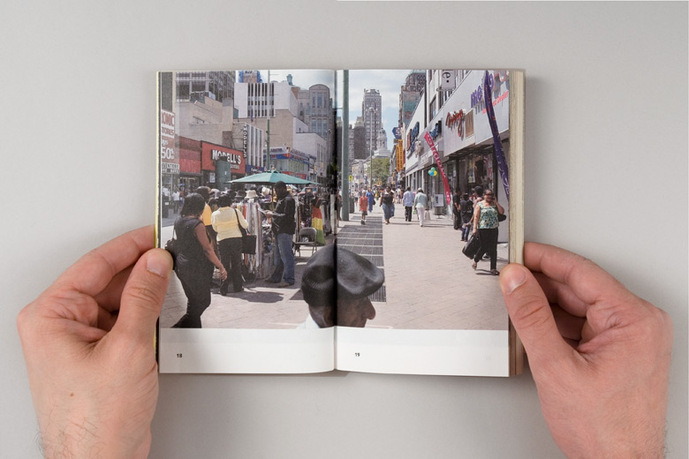 Inventory Books is a platform for the synthesis of textual and visual research on transformations in urban spaces and culture. 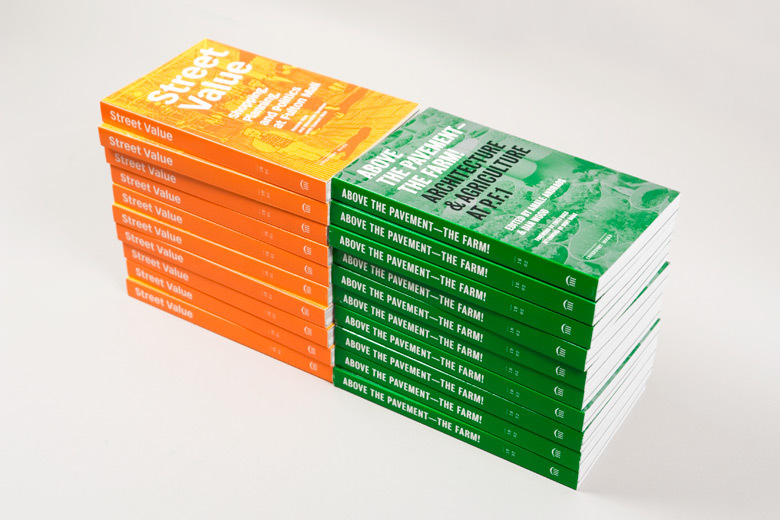 Edited and designed by Adam Michaels at Project Projects and published by Princeton Architectural Press, the series presents rigorous content in an accessible format for a diverse public. 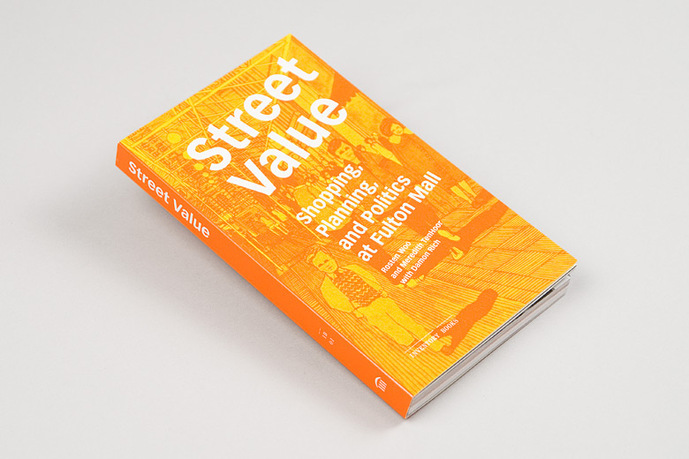 The first two titles in the series are Street Value: Shopping, Planning, and Politics at Fulton Mall (IB01) by Rosten Woo and Meredith TenHoor with Damon Rich (with a photo essay by Gus Powell), and Above the Pavement—The Farm! 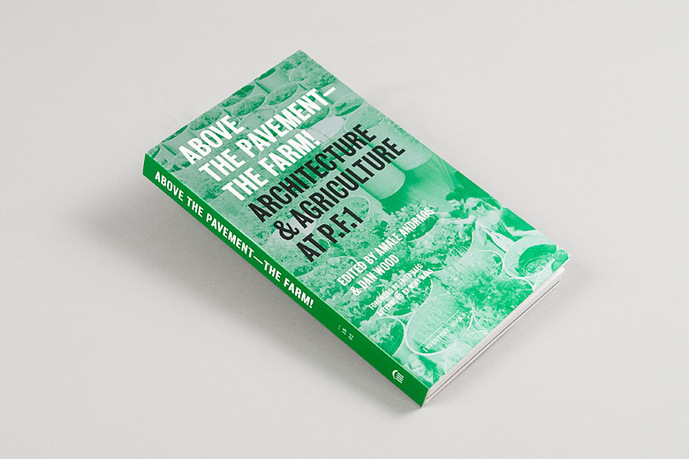 Architecture & Agriculture at P.F.1 (IB02) by Dan Wood and Amale Andraos (with a foreword by Fritz Haeg, an essay by Meredith TenHoor, and an afterword by Winy Maas). 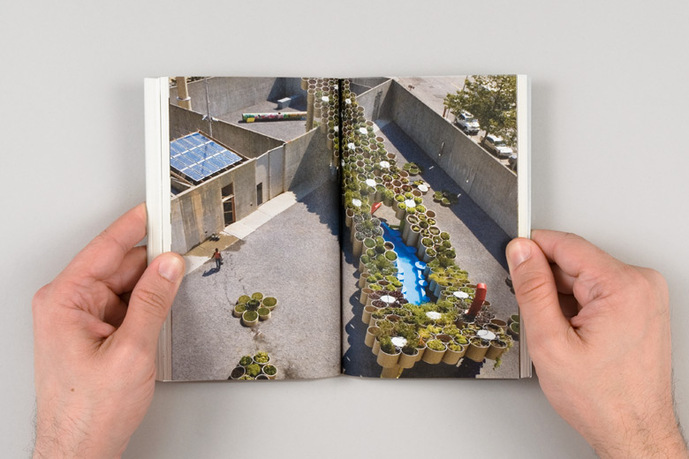 Adam Michaels is cofounder and principal of Project Projects, a design studio in New York focusing on collaborations with clients in art and architecture, in addition to independent publishing and curatorial projects. 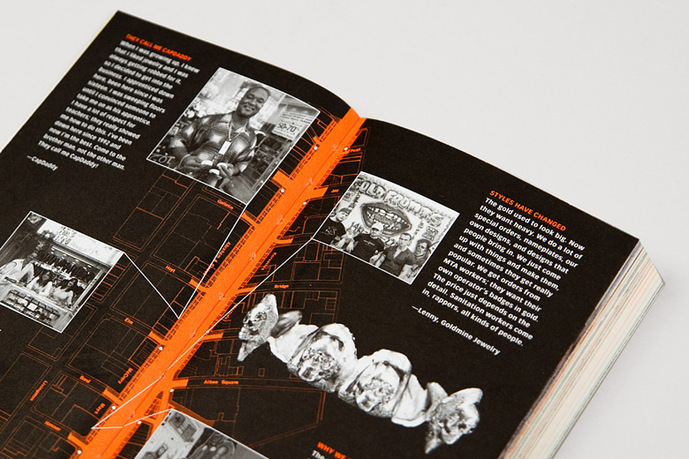 The studio has received numerous accolades, including selection as a finalist in the 2009 Cooper-Hewitt National Design Awards. 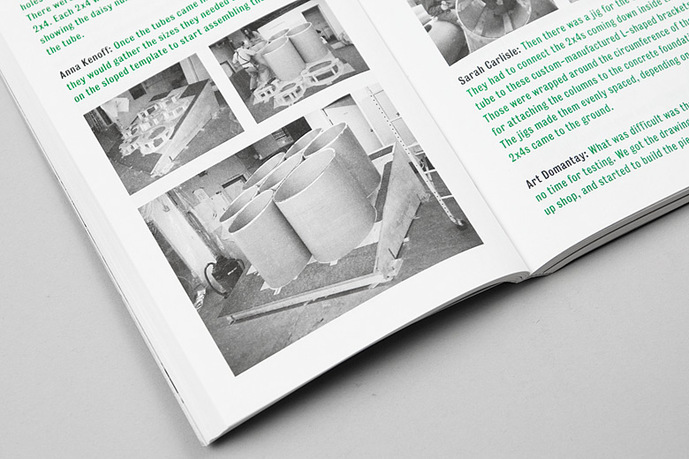 Michaels studied graphic design at the Minneapolis College of Art and Design and worked at studios in Los Angeles and Minneapolis before becoming the associate art director of Architecture magazine. 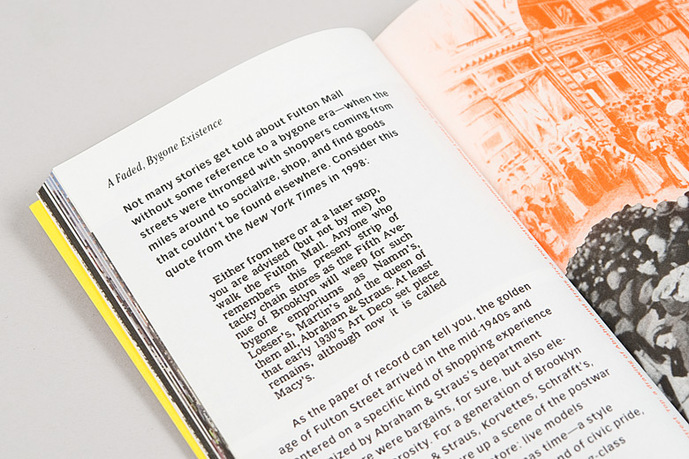 In 2002, he left the magazine to form a studio focused on book design, collaborating with David Reinfurt at O-R-G Inc. He has lectured at the Walker Art Center, CalArts, and Garanti Galeri Istanbul, among others, and his work has been widely published and exhibited. 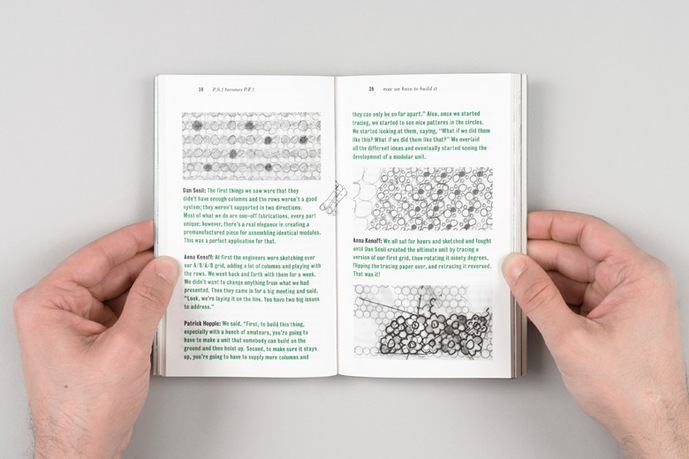 Michaels edits the Inventory Books series, self-publishes books and music recordings, and teaches at Parsons, the New School for Design.